If you are still stranger to the excellent Culdcept series, NipponIchi is here to teach you all about it for the upcoming release of Culdcept Revolt. For those of you who are into strategy games, board games, or collectible cards games, this could very well end up being the happy middle ground where all three meet. Play Solo or Online – Discover the story of Culdcept with an engaging Story Mode, or practice with your decks in Free Play Mode. Once you've nailed down your strategies, challenge friends and strangers with up to 4 player local or online matches to discover new strategies, climb the leaderboards, and enjoy the excitement of unpredictable and fun matchups. Believe it or not, this series has been around for twenty years, which is insane because many haven't even heard about it! Culdcept avoided North American shores for its first few years of existence on the SEGA Saturn, and it first landed in North America during the PlayStation 2 days. What we know as Culdcept is actually Culdcept Second in Japan, a Dreamcast game that was forced onto the PlayStation 2 in North America. Surprisingly, it caught many in the unsuspecting video game world off guard, and it gathered a fairly loyal following from those who tried it. The game is a pure time sink, and it became a small sensation when it came out in 2003. With the portable powers of the Nintendo 3DS, it will feel far more at home with the easier option to play with friends. 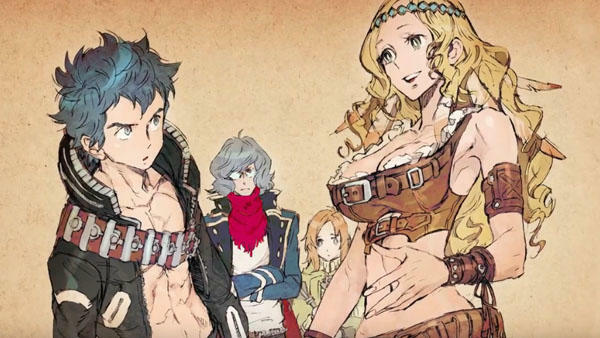 Culdcept Revolt will launch for the Nintendo 3DS on Aug. 29. If you want to see the PlayStation 2 game in action, check it out below. Trust me, that soundtrack is sweet, mostly because the tunes were written by Kenji Ito. Fans of SaGa Frontier and his other Square Enix games will pick up on that immediately.